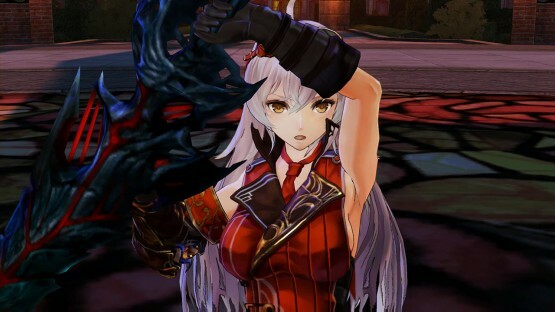 Nights of Azure is popular Japanese developer GUST’s first attempt at an action-RPG, and thanks to an addictive combat system and adorable set of characters, it’s a mostly-successful one. We really dug the game in our review, calling it “one of the most enjoyable and accessible pieces of light RPG entertainment available on PS4.” If you’ve also been enjoying it, you may have some questions about the inspiration behind some of the game’s more memorable touches, such as the “blood” system and the romantic implications between the two heroines. We certainly did, which is why we made sure to get in touch with the game’s producer for the answers — and as you can see below, Keisuke Kikuchi had quite a bit to say about his latest project! PlayStation LifeStyle: First off, how would you describe Nights of Azure to potential players out there who may be unfamiliar with the game? 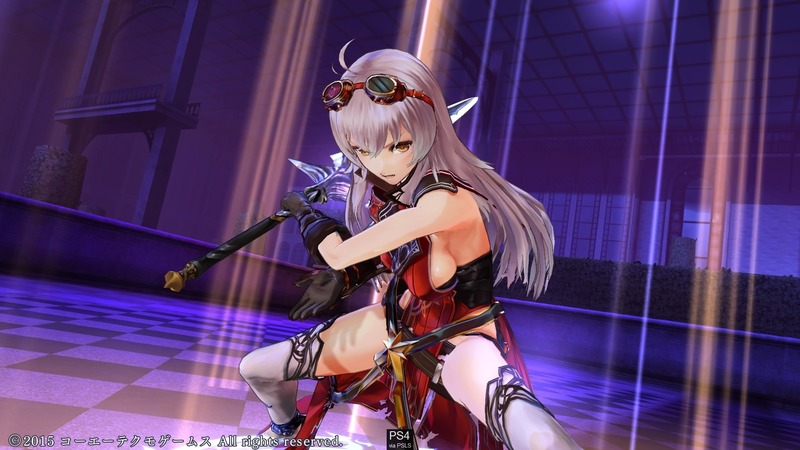 Keisuke Kikuchi, Producer, KOEI TECMO: Nights of Azure is an action role-playing game in which the main character Arnice, a half-demon, summons and fights alongside contracted demons called Servans within an uncharted island known as Ruswal. In this title players can enjoy the numerous combinations of Servans to make for a varied gameplay experience, as well as harness the various strengths and abilities of Arnice. The fates of two beautiful women unfold and collide in this dark fantasy world, as Arnice’s mission is to protect her best friend Lilysse in order to save the world, while Lilysse, the Saint, is destined to do what it takes in order to save the world. PSLS: Gust is obviously well-known for creating the Atelier and Ar tonelico series. Did any of the design philosophy from those franchises carry over to Nights of Azure? For example, will fans of those series see elements that make them say, “This is definitely a GUST game”? Kikuchi: Of course! Players will enjoy all of the various elements that come with a beautiful fantasy world in Nights of Azure, which is what players have come to expect from GUST titles. Deciding on which equipment and gear to use for Arnice and which combinations of Servans work best is a gameplay element that was inspired by the development of alchemy-related items in the Atelier series. PSLS: The Servan system, in which characters fight alongside contracted demons, reminds us of the Shin Megami Tensei games. Was that an influence? What sets this system apart from similar mechanics in other JRPGs? Kikuchi: The Shin Megami Tensei games are definitely wonderful games, but Nights of Azure was not directly influenced by them. Our initial idea for Nights of Azure involved a heroine who fights alongside the various Servans that players would collect and raise during the game. However, because we are all very familiar with JRPGs, other beloved RPGs may have some influence on our tastes. PSLS: In one of the more bizarre twists of the game, Arnice can actually transform her own blood into different kinds of weapons. Where did this idea come from? Are there any other dark twists like that in the game? Kikuchi: In the early development stages of Nights of Azure, our game designers concentrated on creating one resource that would apply to various elements that strengthen the character throughout the game. With the collaboration of the character and story designers the resource became blood, which was decided based on key concepts that we had written into the game’s story, and so the world was built around this concept. This led to Arnice’s ability to utilize the power of her blood in combat and how she recovers more “azure blood” to rejuvenate and grow stronger. PSLS: Some fans of Nights of Azure have taken a number of signals in the game to mean that Arnice and Lilysse have more than a friendship. Was this something the development team did consciously? Kikuchi: The underlying relationship between Arnice and Lilysse in Nights of Azure is that they are close friends and cherish each other, but they shoulder their own heavy fate. It has been left to the imagination of players to decide whether or not they are more than just friends. We encourage players to imagine and enjoy whichever relationship between the two that they see fit outside of the game’s story. PSLS: Nights of Azure also marks a bit of a change in that the majority of Gust’s prior games have been turn-based RPGs. Was it challenging to move from that slower, often more strategic style to one that emphasizes speed and action? 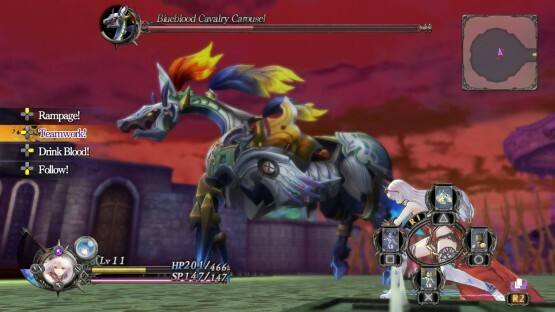 Kikuchi: Yes, initially it was challenging to incorporate an action-based battle system into Nights of Azure after focusing on turn-based gameplay for so long. A major obstacle for us in this pursuit was finding the best way to balance the more fluid action elements of the game with the RPG elements such as the equipment and the various combinations of Servans that can be used. PSLS: In games where you must recruit a multitude of characters or creatures to your side, we can imagine it’s difficult to keep coming up with unique designs. How did the team go about making sure that the Servan you recruit are memorable and interesting? Kikuchi: The abilities of the Servans were decided in the initial stages of development, and then our team studied those to ideas to design their appearance and personality. We developed each Servan to have its own unique ability and to allow players to identify what they can do just by looking at them. We also made numerous adjustments so that players can enjoy a variety of gameplay styles based on their selection of Servans as well as equipment and weapons. We’d like to thank Kikuchi and everyone else at KOEI TECMO for the interview, and for one of the most fun hack-and-slash games currently on PS4! Nights of Azure is available now.